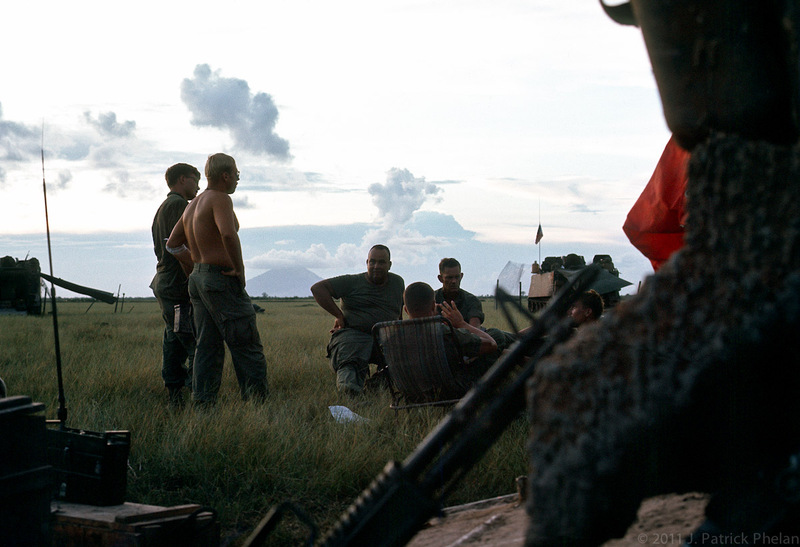 The Field: A meeting at a night laager site with Nui Ba Dinh in the distance. A meeting at a night laager site with Nui Ba Dinh in the distance. Terry Chaffee on left (w/o shirt), First Sergeant (need name), Capt. Hoag, I believe, seated with back to camera. Need names on others. An informal meeting to discuss the events of the day and discuss tomorrows plans. At the right, a corner of the red mail bag hangs on the back of an APC.